With a toothbrush, a metal pick, some degreaser, grease, chrome polish, 0000 steel wool and WD-40, you can erase prior neglect. It is extremely satisfying. 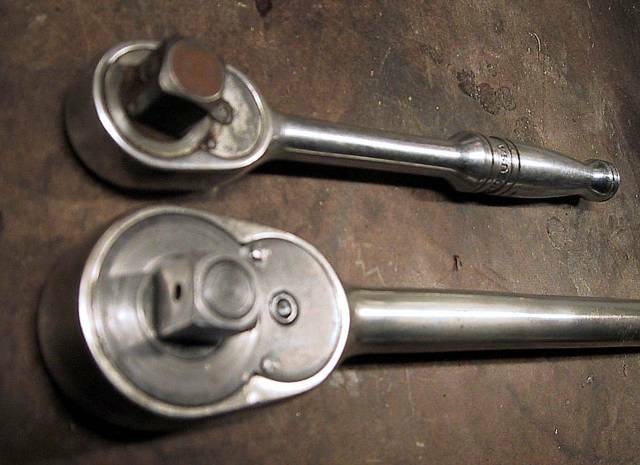 The top ratchet still requires attention, while the bottom ratchet is not perfect, well used and sorta perfect. Like a solid reader's copy - the text knows nothing of the cover.